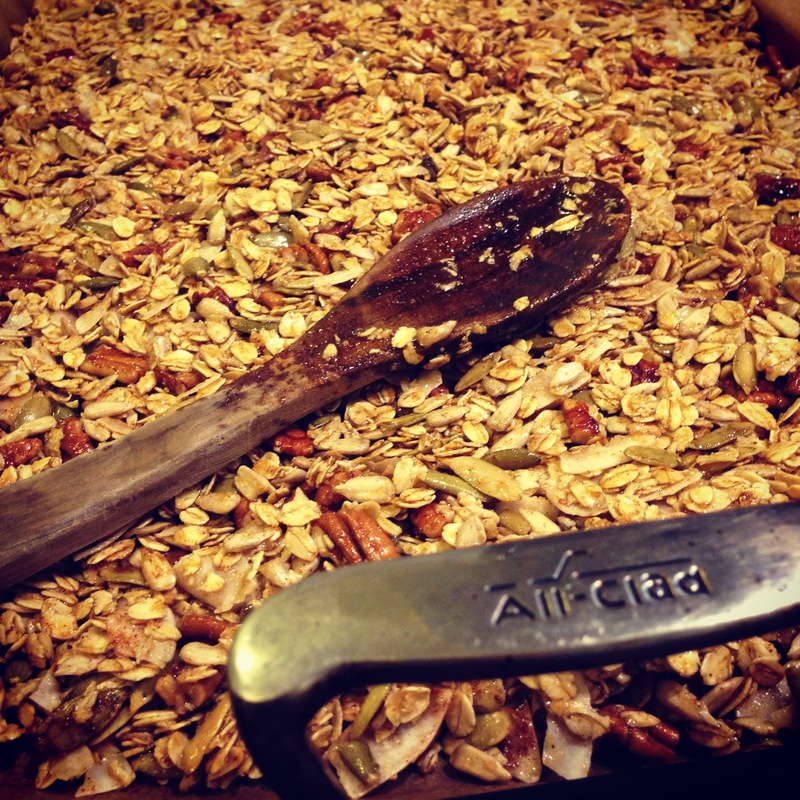 There’s nothing quite like the smell of freshly baked granola…Mmmmm! My mom loves to make homemade granola, and I’m sure she’s tried a ton of recipes to find the perfect one. And what might that perfect granola recipe be? You just can’t go wrong with this one! This is a recipe from Early Bird Foods. Preheat oven to 300 degrees F. In a bowl, combine the oats, pumpkin seeds, sunflower seeds, coconut, pecans, syrup, olive oil, sugar, and 1 teaspoon salt and mix until well combined. 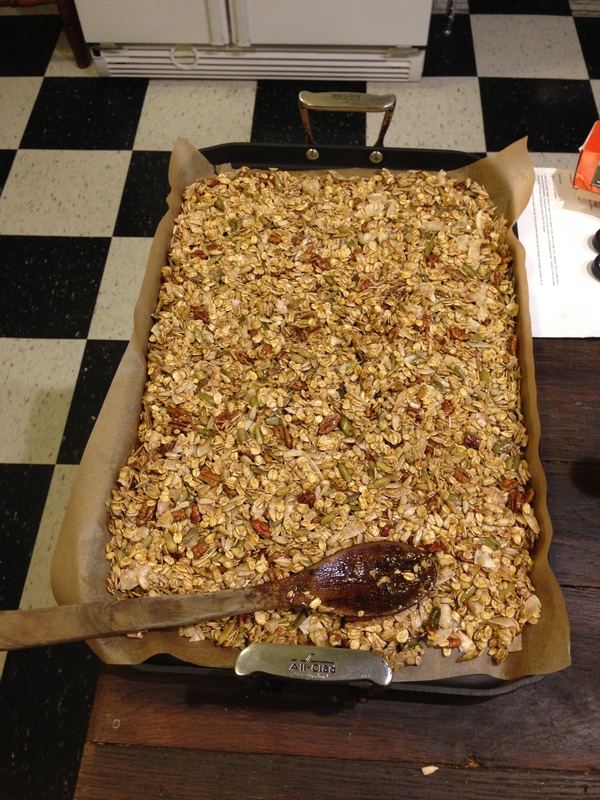 Spread the granola mixture in an even layer on a rimmed baking sheet. To make clean-up easier, line the baking sheet with parchment paper. 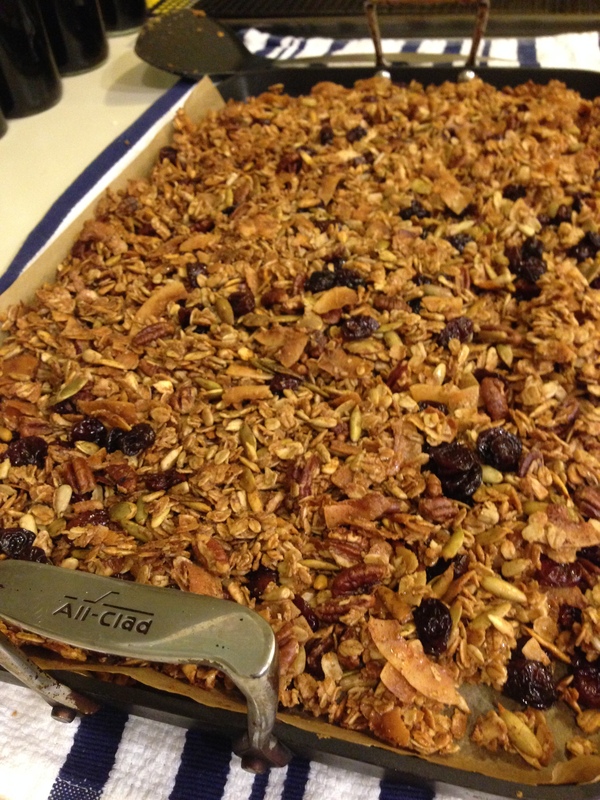 Bake, stirring every 10 minutes, until granola is toasted. In total, this should take approximately 45 minutes. Remove the granola from the oven and season with salt to taste. I love to add dried sour cherries at the last minute before it cools (my mom’s trick!). Feel free to leave this out, or add raisins, dried apricots, any dried fruit you like! Smooth the granola out into an even layer and let it cool. 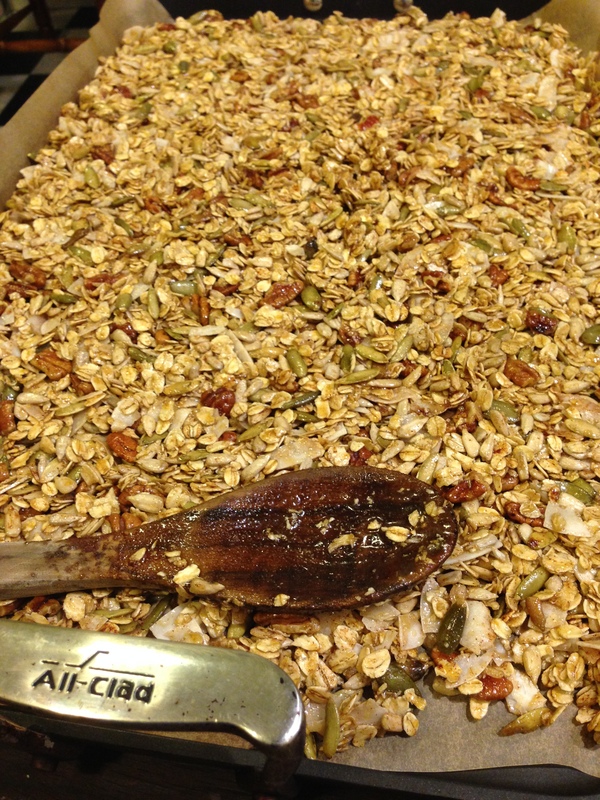 If you like chunks of granola, this step is important. If you allow it to cool completely, the granola with harden in chunks, yum! Store in an airtight container for up to 1 month. The dried sour cherries and extra pinch of salt at the end is the perfect finish to the perfect granola!